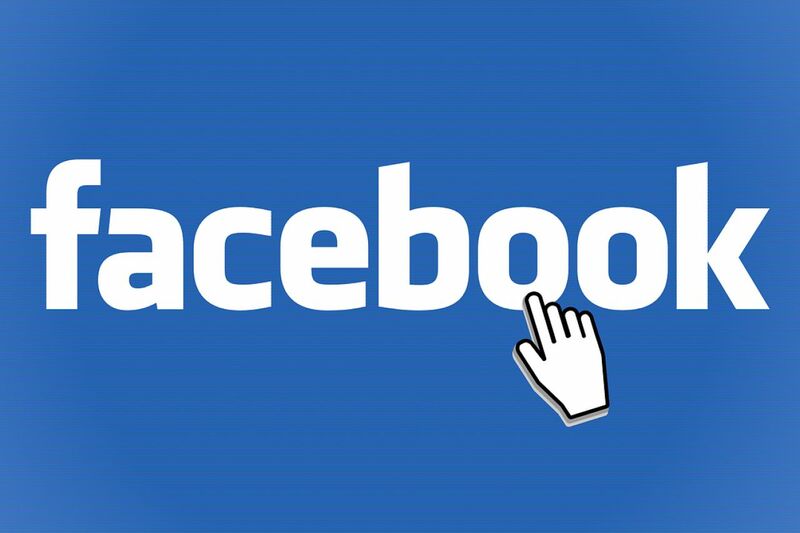 Hide your Facebook Wall? Why would you want to do that, you might ask. Simple. Because I do not want to share the details of my life with the entire world. Some details, yes, maybe — like my favorite color, name of my first pet, et cetera. But not everything. And I don’t believe that just because I make a living on the Internet doesn’t mean I have to give up my privacy. To hide your Facebook Wall from “Everyone” (meaning people who are not your Facebook friends), perform the steps below. If you want to understand what each option means, please read the next section. On the menu at the top-right, click Account > Privacy Settings. In the Sharing on Facebook section, click the Customize settings link below the table. The Customize settings page appears. In the Things I share section, select Friends Only for all settings. These settings include Posts by me, Family, Relationship, Interested in, et cetera. Click the Preview My Profile button on the upper-right corner of the page. The page refreshes, and then you see how your profile looks like to someone who is not your Facebook friend. That’s it. You have completed hiding your Wall from non-friends. If you want only your friends to see your Wall and other things that you share, your Privacy Settings page should look like the image below (click to enlarge). Again, the steps above are for hiding your Wall from everyone who is not your Facebook friend. If you want to understand what the other options are (Everyone, Friends of Friends, and Customize), read the section below. 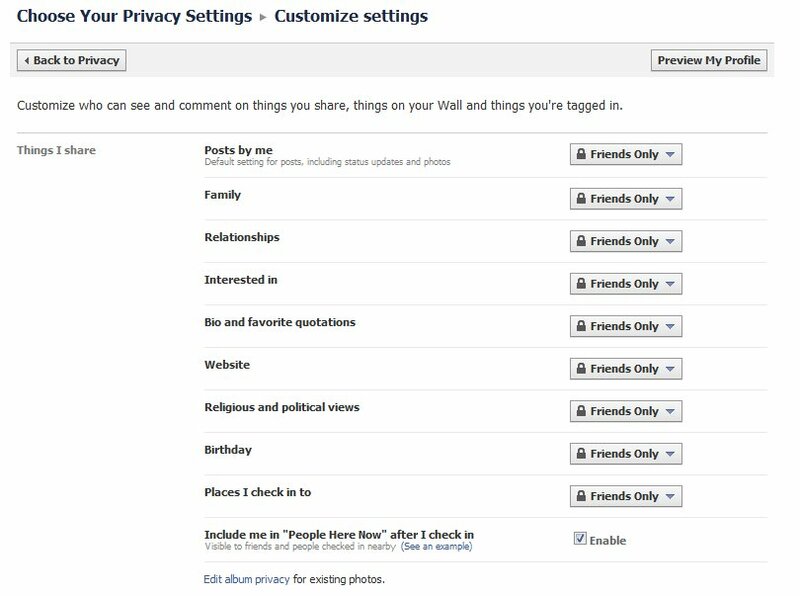 Everyone: If you select this option, everyone (as in everyone, including the driver of your son’s school bus, your boss, your ex-girlfriend from hell, and any potential stalker within the 100 mile radius of your home or office) will be able to see the things that you share on Facebook. Even those who are not your friends on Facebook. IS THIS PRIVACY OPTION FOR YOU? If you want someone to stalk you, you should select this option. Friends of Friends:Â If you select this option, the friends of your Facebook friends will be able to see what you share on Facebook. Unless these friends of friends are your friends, too. In which case they will be your friends, not friends of friends, right? Confusing, I know. The point is that people you do not know (friends of your Facebook friends) will still see what you share, even though they may not be complete strangers. IS THIS PRIVACY OPTION FOR YOU? If you have a crush on a friend of your friend and you’re too shy to make a move and you believe in fate and all, this is the recommended option for you. Friends Only: If you select this option, only the people whom you have added as friends on Facebook will see what you share. This is the option that affords the most privacy. If you want an option that’s even more private, maybe you shouldn’t have a Facebook account. IS THIS PRIVACY OPTION FOR YOU? If you don’t want to be stalked or you don’t have a crush on anybody, this is the recommended option for you. Seriously though, if you want only your friends to see what you share, select this option. Customize: This is a option that lets you specify the people who you want to have access to what you share. It’s a little complicated. And if you like complicated things, this is probably the best option for you. For example, you want to share some things with friends, but not with certain friends. Too complicated for me. If you don’t want a friend to see what you share, maybe he or she isn’t really your friend andÂ you shouldn’t have added him or her. You can still “unfriend” that person, if you want.Â But that’s just me. I get asked this question a lot by my friends (like I’m a Facebook expert). So I thought I’d share it here so others who want to put some privacy back into their online social life can do so. If you have questions or if you think this post helped you, please leave a comment. I have a friend who sometimes posts things to my wall which make me uncomfortable as I have young nieces and nephews checking out the wall. I have asked her to be discriminating but we all think differently. Most of what she posts is interesting. What should I do?